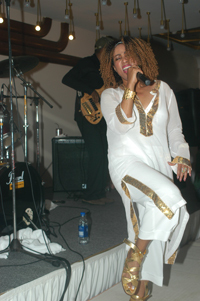 AIT was the first North American company to produce and promote Ethiopian concerts. In the early 1990’s, we managed, sponsored and promoted Ethiopia’s legendary Roha Band and the acclaimed Ethio-Stars Band during their first North American tours. Since then, AIT has produced and promoted international concert tours featuring artists such as Aster Aweke, Mahmoud Ahmed, Alemayehu Eshete, Getachew Kassa, Hamelmal Abate, Theodros Tadesse, Neway Debebe, and The Admas Band, as well as comedy tours featuring Tamagne Beyene, Alebachew Teka and Limenih Tadesse.